How do I download a video to watch it offline? Download up to ten Pilates Anytime videos at a time for offline viewing! Watch Pilates Anytime videos when you are traveling and cannot connect to the internet, or if your data access and internet speeds are better during specific times of day. Currently, this feature is available only to members with iOS devices (iPhones and iPads). To get started, download the Pilates Anytime app from the App store. Then, open the app and click 'Account' at the bottom right corner of the screen. Click the green 'Log In' button to log into your Pilates Anytime account. If you are not a Pilates Anytime member, sign up for an account to get access. Browse the app using the green 'Filters' tab to find the video you would like to download. Click the Cloud Icon (green square with a cloud inside of it) beneath the video to download the video. You can view all of your downloaded videos by clicking the 'Downloads' tab at the bottom of the screen. The maximum number of downloads is ten videos at a time, so you may want to delete videos to make room for other videos. To delete a video, swipe left on the video (see below). All of the downloaded videos will stay on your device as long as you are logged into the app and are a member of Pilates Anytime. 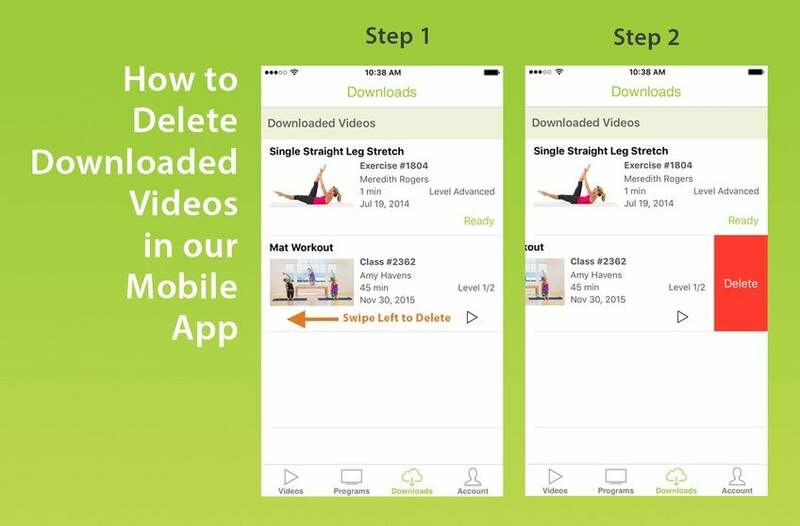 If you log out of the app or cancel your membership with Pilates Anytime, your videos will be removed from your downloads. To download premium content to your device, you must first purchase the content online through your web browser. Once you have purchased the premium content, you can then download it from the app to your mobile device. Be sure to purchase and download your premium content before you travel. A 60-minute video downloaded is about 360 MB in size or about 6 MB per minute on iOS. If you have a restricted data plan, we recommend going to a location where you can access WiFi. Using WiFi will allow you to download our videos without counting against your data plan. You also can download audio-only files of the videos. Audio files are much smaller in size, so they use fewer data and less bandwidth. Please contact us if you have any questions or feedback. Oh,this is wonderful! I travel so much and this will make a huge difference to my life style. Thank you! This is a wonderful addition! Now, can I suggest a workout class for 'airplane mode' so we can do some simple exercises while seated on a plane? Maybe I won't look so nutso if I'm exercising my neck, hands and ankles along with a video. Great idea; will we see an Android version in the near future? Would love to use it but have android phone. Any news about app for android? 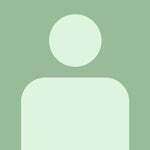 John ~ We hope to have an Android app in the future! Excellent idea, but how to choose from such a great selection! How do I add a class to 'My Queue'? How can I make a suggestion to improve Pilates Anytime? What is the resume playback feature? How do I track the videos that I have watched? How do I create a custom playlist? How do I find 'My Favorites'?